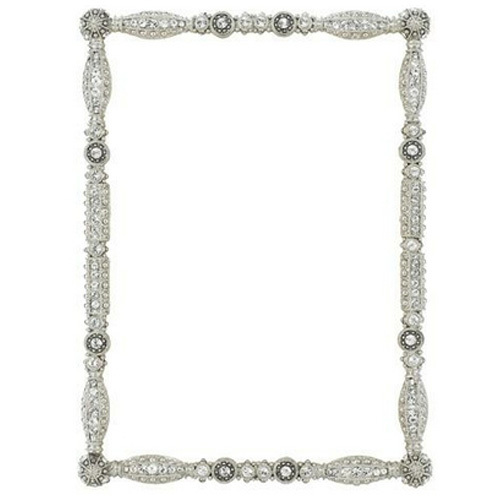 Dozens of hand-set clear Swarovski crystals with intricate metallic bead work in a silver tone metal finish. R1642. Holds a 5 x 7 picture. Frame Size: 5.5" x 7.5"